Originally from southern Lebanon, Saada El Assaad Fakhry, Goodwill Ambassador of Live Lebanon in Ghana, appointed by UNDP, has Lebanon in her heart. Translating her feelings into practice, she achieved her first project for the development of a region of her country. 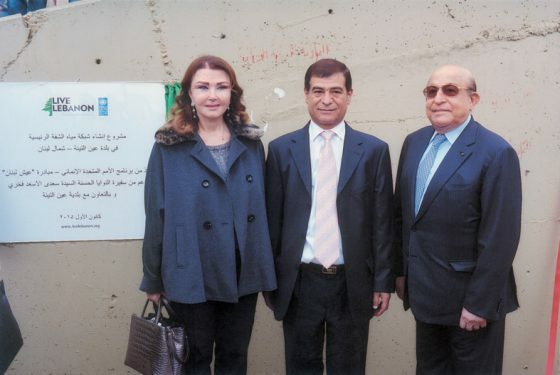 Among the projects proposed by UNDP, she chooses the one to drain to Ain el Tineh, in northern Lebanon, drinking water. A first successful step, but that is far from being the last. For Madam Ambassador is determined to continue her highly humanitarian mission with enthusiasm and passion to the end. In a meeting with Prestige, Saada Fakhry tells. Who is Saada el Assaad Fakhry? Descending from the el Assaad Southern family who played an important role in the history of Jabal Amel, I got married at a young age to Said Fakhry, businessman based in Ghana. The charity always fascinated me and absorbed most of my time shared between the family and society. Later, I took my four children to London who pursued university studies and I continued to participate in all charitable activities for the public good and contributing to supporting Lebanon during the war at that time. Lately we founded in Zrariyé in southern Lebanon, my husband and I, a cultural, technical and artistic center to introduce young people to the computer, languages and arts such as ballet, music and crafts. Tell us how you were chosen ambassador to Ghana … The Lebanese foreign ministry, together with the United Nations Development Programme, UNDP, and the Emigrants Directorate appoint goodwill ambassadors in a good specific goal. 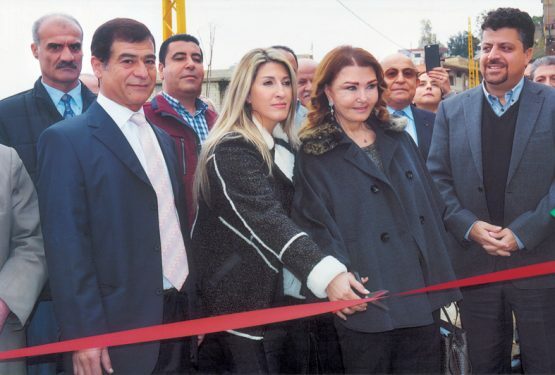 They are chosen among emigrant Lebanese personalities and active in the social field, to finance projects implemented by UNDP in cooperation with local municipalities, as part of the Live Lebanon initiative. After meticulous study and considering the activities I was doing in Accra and elsewhere, I was appointed goodwill ambassador to Ghana. What development projects have you achieved? A list of projects proposed by UNDP, in agreement with Live Lebanon. For my part, I chose one that seemed essential and vital, namely the installation of the core network of drinking water pipeline for the region of Ain el Tine in North Lebanon. To ensure the funding, I organized a fundraising dinner in Accra to which took part of all their heart, the Lebanese community in Ghana. This is how I managed to finance and execute the project. In December 2015, after five months of works, the project was inaugurated. Ain el Tiné was celebrating joyously this happy event. How did you ensure follow-up? The project was supervised from A to Z, after a meticulous study that preceded the works. I personally was doing regular visits to the site in the company of Hanin Fakih and her team of UNDP, to ensure the proper functioning. Do you have a second project for Live Lebanon? I want to promote education because young people are the future of Lebanon. Studying in a healthy environment is important. I would like to restore a school for the health and well being of students. I’ll give you more details at the start of the project. My goal is to stay away from politics and achieve a humanitarian project in each region of Lebanon. What is the quality you prefer in a person? Honesty, sincerity and faithfulness. What is your favorite activity? Interior decoration. What is your dream of happiness? Successful life and achievements. What is your best memory? I keep a lot of good memories. My marriage, my children and signing my first book in Arabic on floral art, Ikebana, the art of living specifically Japanese. You collect turtles. Tell us about this passion … In fact, it is a true passion. The turtle is a lucky charm, a symbol of longevity. Besides, I have a large collection of trinkets and books about the turtle. I even chose accessories featuring the turtle, such this watch on my wrist with the turtle on the dial, or these earrings in amethyst, stone feature of my sign Pisces … It seems that the turtle brings happiness if its head is exposed to the front door. Placed on the left, the chance will be on the business side. On the right, it will be more on the side of love. In which country would you like to live? In Ghana and Lebanon to meet friends and fulfill my family and professional obligations. In London to devote myself to my hobbies, without pressure or coercion. 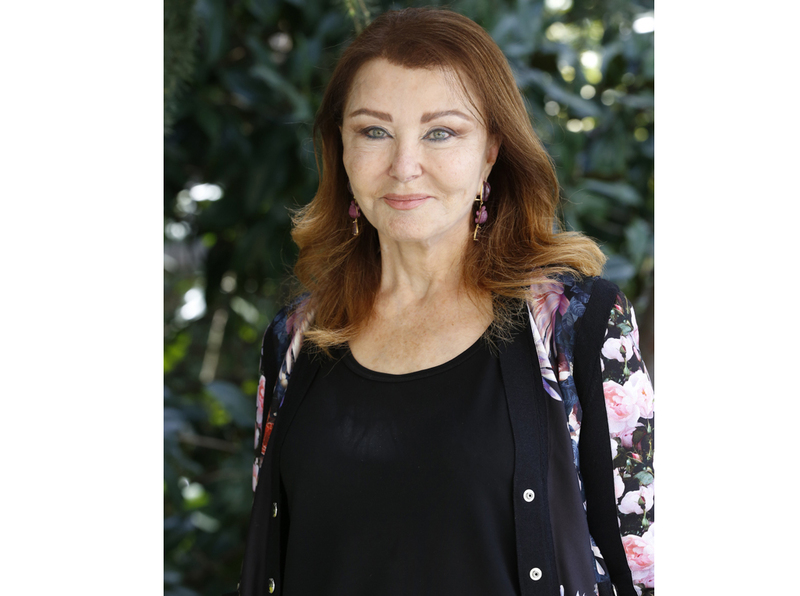 Interview by Mireille Bridi.